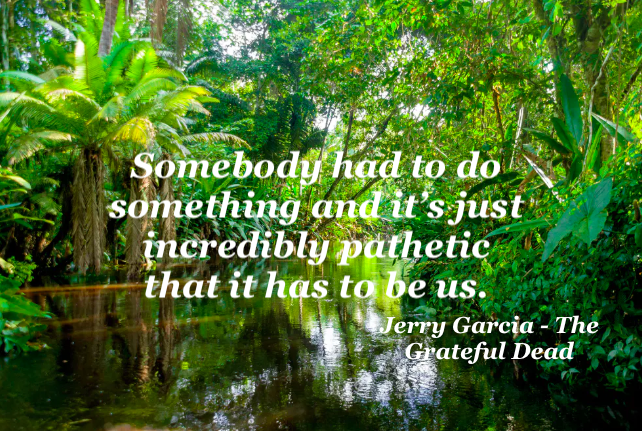 Whether or not iconic musician Jerry Garcia ever really made the above statement about saving the rain forests of South America is subject to debate – he denied it but it’s clear the sentiment lived on. And Dead Heads believe it to be so. It’s one of my favorite quotes – real or not – because it summons a common complaint all of us have – about our jobs, our careers, our families, and our lives. It’s a heck of a lot easier if someone else takes a step to affect change – as long as it’s not us. I invest a lot of time talking about leading your career – and the cardinal point of the instrument that forms the foundation for the book The Compass Solution and the company The Compass Alliance is Personal Accountability. If you really want to plot your career course on any of the above then I also suggest you make your next vacation plans by showing up at the local bus depot, buying a ticket to “anywhere”, and hoping…. There is credible evidence a great many do just that – waiting for career guidance like a desperate farmer looking to the heavens and praying for rain. Don’t get me wrong – your boss can help – your department can help – and your company can help. They all have a role to play. But if you make your career trajectory dependent on a third party you have effectively capitulated. Based on U.S. and global estimates of employee disengagement it would appear a great many are waving white flags right now. Seventy percent – and some generations (note Millennials) even greater. Dying at work – slowly. You get the picture – two important insights for all of us to consider. “They” doesn’t exist. “They” is whom we blame when it’s “me” we should be looking at. Your career success is not based solely on meritocracy. It has not – and will never be – completely fair. Get over it. Show me a career success story and I’ll show you someone who overcame adversity – not lamented its presence. We all look for Purpose in our professional lives – we hunger for the Direction and the Tools to realize that Purpose. Each of the above can be company supported perhaps – but NOT company-issued. Ask the “Average Joe” how much time they invest in a week in their own self -development and be prepared to wait. Ask them how much time in front of a television and expect somewhere between 35 and 40 hours.